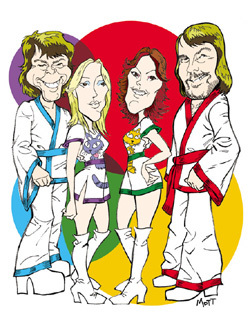 If you’re going to be in New York on June 15th, 16th or 17th, go here now and buy tickets for the Loser’s Lounge Tribute to ABBA. I mean it. Do it now before tickets sell out. You’ll thank for the rest of your life for insisting, it’s that good. Are you still here??? Go get those tickets. It’s the most fun and entertaining musical thing in New York. You’ll be dancing on the table tops, even if you’re not a dancing on the table tops kind of person. By the end of the night you will be.